3 Powerful Weight Loss Exercises Anyone Can Do, 3 powerful weight loss exercises, Do you love exercise? Do you love exercise? If you are overweight then the answer is probably no. Whether you like it or not, the simple fact is that exercise is the number one way to start losing weight. Even if your diet is less than perfect, a regular exercise routine can help you burn more calories, improve your cardiovascular health and make you feel much more vibrant and healthy. Starting an exercise routine is also a great way to start a new and more healthy lifestyle as its often the catalyst for you to start eating healthier as well. 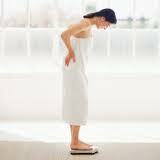 If you have to stop eating those foods you love then losing weight can be a challenge. If you simply have to start exercising it can be much easier. So, if youve been inactive for a while and dont know if or how to start exercising for weight loss then there is still hope for you. Exercise does not have to be painful, boring or a chore. It can be something that you enjoy and want to do. As you start seeing results it will inspire you and before you know it you will reach all your weight loss goals - without eating rabbit food. So, how do you start? Here are 3 powerful weight loss exercises that anyone can start doing. The great thing about a fitness class is that you can slot into a class with people who are on your fitness level. Doing it with other people is a lot more fun and being led by a trainer professional means that you won;t over exert yourself or do exercise that is wrong for you. Have you ever though about taking up a sport? Sport is not only fun but it can help you get exercise without even realizing it. Obviously you need to pick a sport that is good for cardiovascular exercise and something like tennis can be great. It can also be a lot of fun and you can make a lot of new friends and exercise with people who want to achieve the same goals as you. Walking is one of the most under estimated for of exercise out there. So many people try running when they are out of shape but the problem is that the impact on their knees and ankles will often leave them in pain. Walking at a brisk pace for 30 minutes 5 days a week will produce results. Obviously you want to start slow and work your way up but the fact remains that walking will raise your heart rate and help you burn calories.